Hope you are all doing well ? I have been really busy the past few days, so I wanted to devote tonight to giving my blog some love! I went shopping today and got some cute bits from New Look and omg New Look have some amazing Christmas Jumpers in this year...I ended up spending a small fortune but I couldn't be happier with my cute jumpers and other wintery bits and bobs that I purchased. I am also in work all over the weekend, as well as starting my Financial decision making module which is quite amusing considering how much money I have been spending latley! maybe it will actually help me haha. I'm also seriously looking into getting my brand Jewel By India R back up and running in the New Year. I really miss working with my business, and feel that I'm ready to devote time to it once again. SO! with all that aside I thought that I would post about one of my favourite lip combo's at the moment. I have been loving wearing a flawless but quite basic face with a real bold Red of Purple/Plum lip. I hope you all enjoy this post and as always feel free to tweet me or leave a message below with your links or any comments you have :) I will always try my best to get back to you, and I honestly appreciate all my lovely readers for taking the time to read my blog posts! Rouge Volupte's are known for their extremely luxurious appearance, as well as their beautiful buttery texture. They are definitely one of my all time favourites, and Exquisite Plum is a stunning Autumn/Winter shade. My parents actually purchased this for me as a gift and I remember thinking OMG I don't think I can wear that! then when I swatched it and seen how pigmented it was I was actually a little terrified haha. However, I couldn't have been more wrong! Exquisite Plum is a bold shade, but its a lot more wearable than I first thought. I actually find that the Deep Plum shade helps to brighten my face, and the staying power is amazing on this little beauty considering I thought it would be quite a high maintenance shade to wear. The pigmentation is probably one of the best I have ever experienced, and I love that you can apply this lighter for a more toned down "Berry" shade, or totally vamp it up to full coverage. 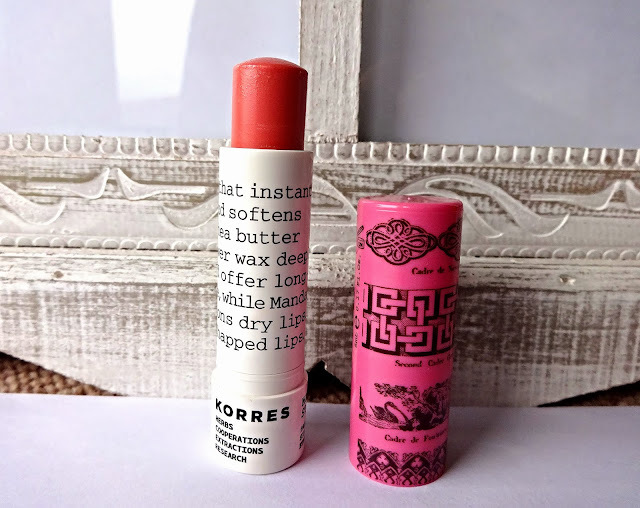 I find myself reaching for this shade at least three times a week, and overall I think this is an absolutely stunning lipstick that offers amazing moisture, colour, staying power and of course amazing packaging! MAC DAZZLEGLASS "Boys Go Crazy"
When the Lavish Rose Lip Gloss Set was released last year I knew that it was a must have for me! I think this was a limited edition set, but if you like this shade MAC are always re-releasing or creating similar shades, so I'm sure something will come up especially with the Christmas season upon us. 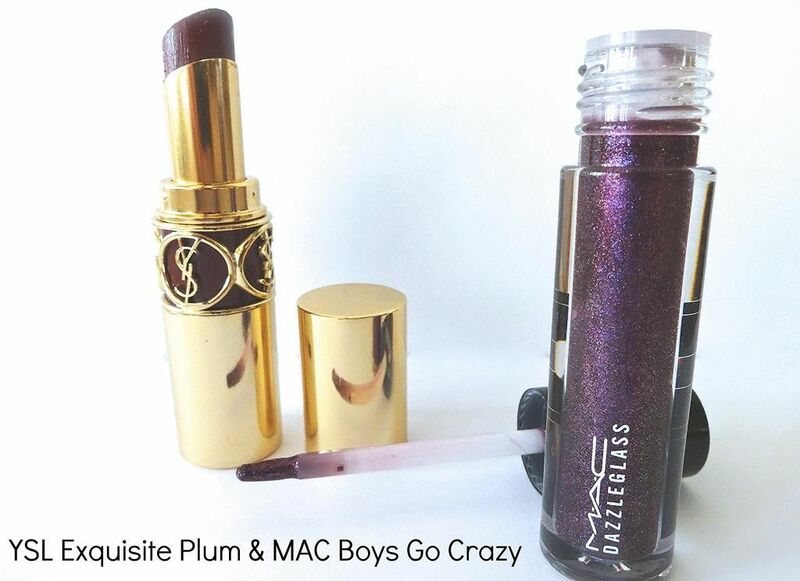 Boys go crazy is a stunning semi opaque purple/violet shade with blue sparkle. 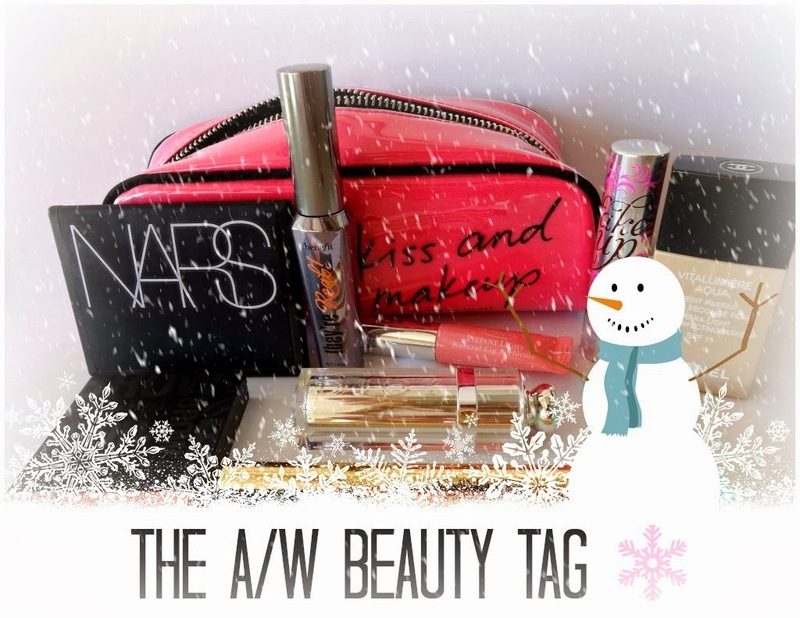 It reminds me of a party in a lip gloss tube, as there is so much going on! 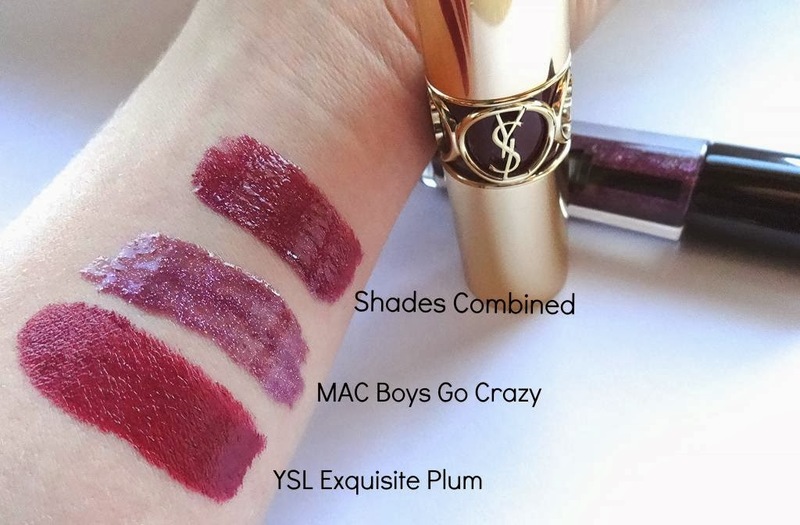 - I absolutely love layering this shade on top of "Exquisite Plum" as it gives the lip a real high gloss finish and the added sparkle is great for the Christmas season. As you can see Exquisite Plum looks quite Red on the swatch, but its much more of a dark Burgundy/plum shade. I love the combination of these two lip products, and it reminds me of the J20 Limited Edition "Glitter Berry" drink which you can see here haha! its one of those things that needs to be seen to understand what I mean ;) - I would love to hear your thoughts about this combo, and I would also love to hear all about your favourite lip and general beauty combinations at the moment.